Are you looking to buy an outdoor wall light? 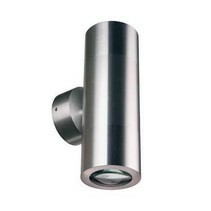 Look at this outdoor wall light LED orientable 85mm high 4W aluminium! This wall light is very nice and practical! 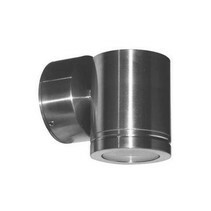 Are you interested to order this outdoor wall light LED orientable 85mm high 4W aluminium? Continue reading then. 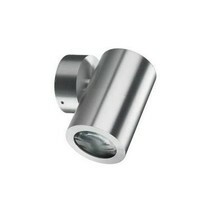 This outdoor wall light LED orientable 85mm high 4W aluminium has an integrated LED module of 4W. The LED module is warm white (3000 Kelvin) and has a longevity of +/- 30.000 to 50.000 burning hours. This is a lot more than halogen spots. These have only a life span of +/-2000 burning hours and consume 7x as much. The LED wall light has a beam of 120° and is made of anodized aluminium. The connection is immediately on 220V (the transformator is integrated in the device). You can also order this IP65 wall light in other models. Look at our related products for this. The foot is orientable (downstairs for 30° and round turnable up to 355°). The LED wall lamp is waterproof (IP65 or protected against water jets). See more information about waterproof lighting. 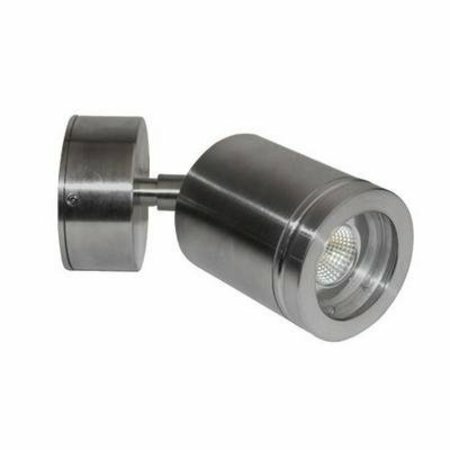 In addition that this outdoor wall light LED orientable 85mm high 4W aluminium is useful as facade lighting, there are more reasons to buy at My Planet LED. We guarantee a good after sales service. You will be informed about the status of your order. After payment, we treat your order. 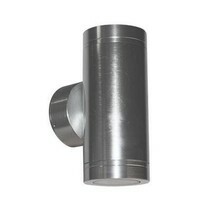 Once that the outdoor wall light LED orientable 85mm high 4W aluminium is in stock, we will inform you about your order. Do you have more questions? Contact us by phone (+32) 57 466 866 or by mail (info@myplanetled.com) in order to obtain more information about this outdoor wall light LED orientable 85mm high 4W aluminium.